A nation besieged by armies of man, and demon. A man seeking redemption, and peace. Kalfinar is a grieving addict. Once a decorated and respected soldier, he has been demoted and disgraced. The relative peace of his half-life is shattered by the onset of chaos and war. Tormented by visions, he is marked for possession, and hunted by demons. 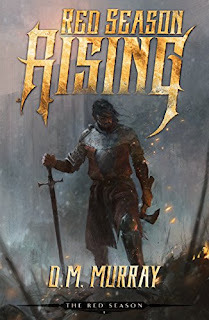 Amidst the all-consuming ruin of a war between Gods, Kalfinar must lead the fight to defend a faith he has abandoned, and a nation that has disowned him.